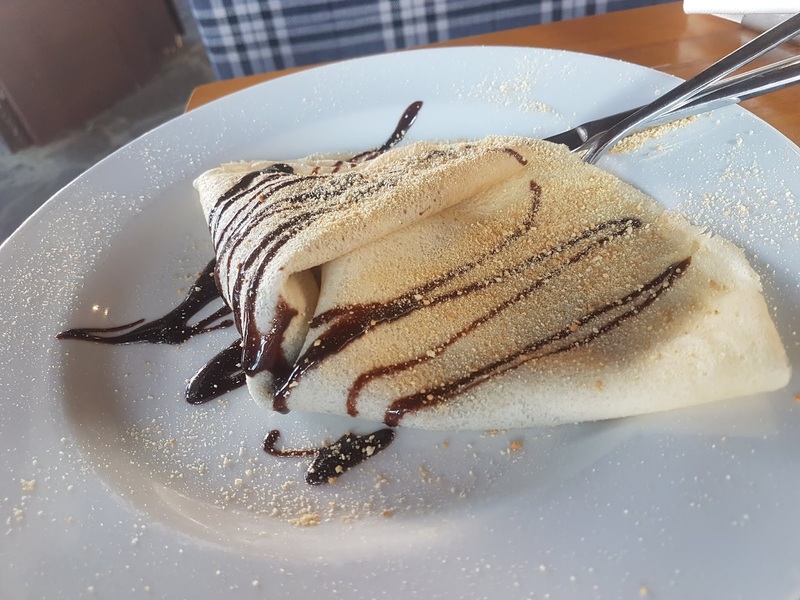 Committed Stitcher: It's A Crepe! Time for the crepes! We went up a mountain outside of Skopje and found Macedonia Selo. 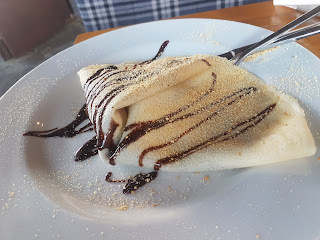 It was a great place, and they serve great crepes.